My advice is: Do not submit your eBook to the iBookstore. And if you have one there, remove it. The iPad is nothing but a shiny brick without your content. 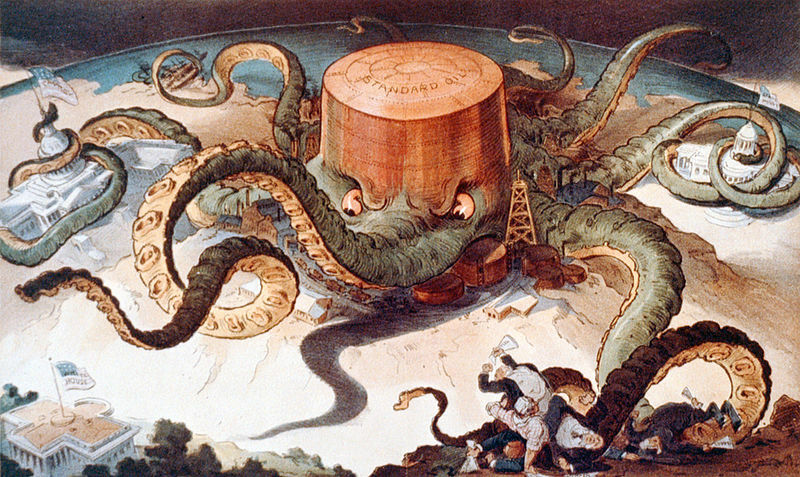 Classic Thomas Nast cartoon illustrating the face-sucking vampire squid that was the Standard Oil company. Perfectly illustrates the New Greed of Apple today. Android has the wonderful eBook program Aldiko. Not available for iOS. I expect Feedbooks will get traffic from webOS tablets once those are out too. Apple has shot itself in the foot, thinking it’s somehow entitled to a 30% cut of eBooks bought from Amazon, Sony, Kobo, Borders, Barnes & Noble, and all other stores. Where is the Apple Board of Directors to question this move?